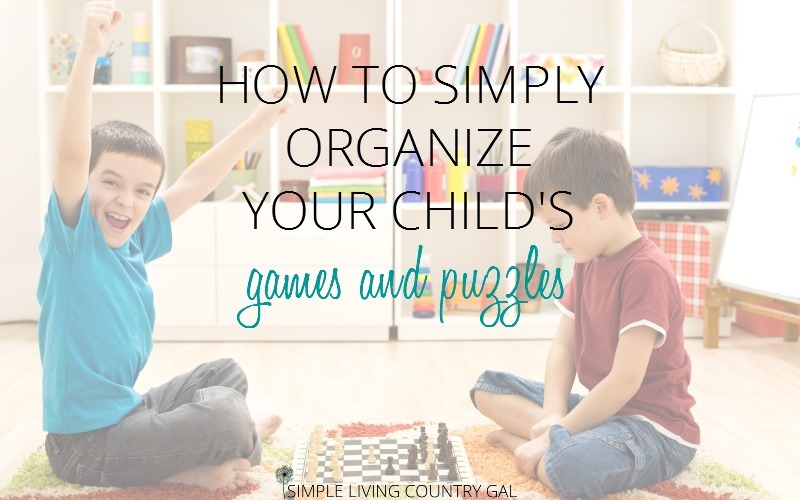 Ask any mom or dad for that matter, what is one of the trickiest things to organize and they will tell you. 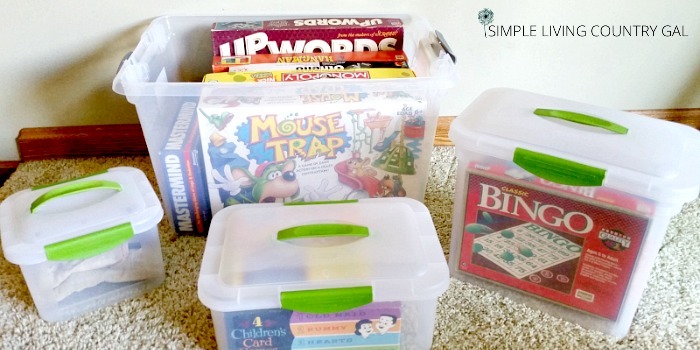 How to organize games and puzzles. 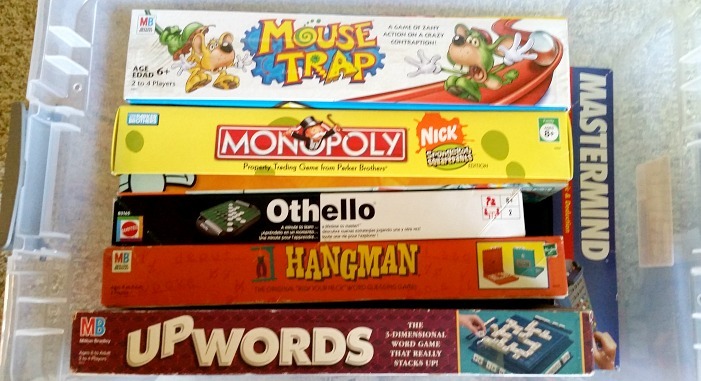 Whether you have children or not, games can quickly multiply from 1 Monopoly to over 30 random versions of Life. Wait, doesn’t everyone have Shrek Life and Pirates of the Caribbean Life? Hmmm, just us? If you are like me you have a precariously tall stack of games that threatens to tumble every time I go into our attic. I finally decided it was time to get those games sorted, repaired, and put into a system that would be neat and easy to access. 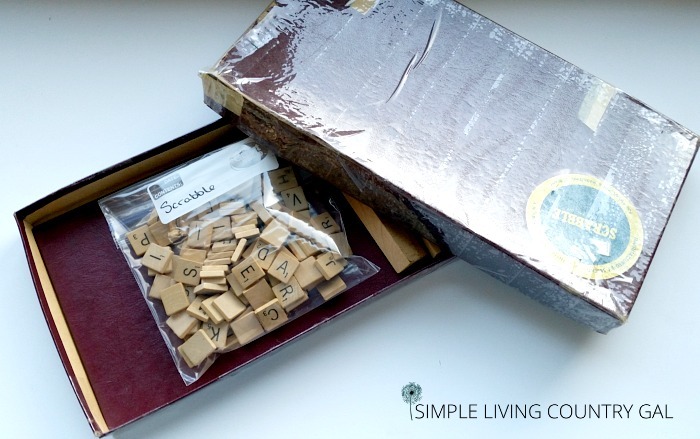 I needed a system that would simply organize our games and puzzles. When my kids were younger I attempted this same feat. I found a system of ditching the boxes and putting all the pieces and directions into bags neatly labeled and attached to the boards. Sure it looked neat and tidy but after that first day, it never looked that way again. It was just too hard. When you have little kids, you rely on pictures to tell a story. 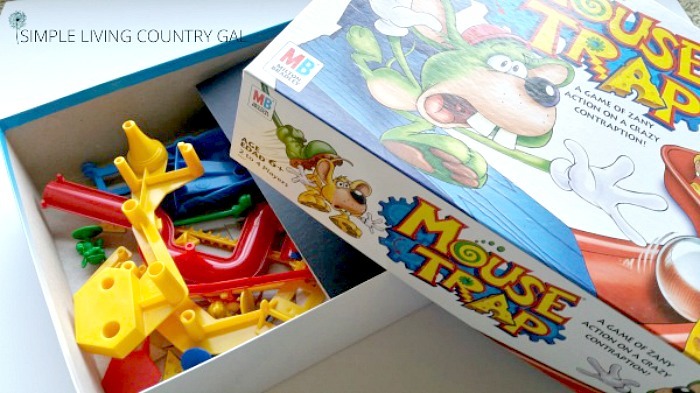 Without the boxes, they had no idea what the game was. They got every single game out so they could decide what they wanted to play with. Before I knew it I had 10 games scattered all over the floor and a huge (and painful) mess to deal with. Don’t laugh, those Monopoly pieces can cause a grown woman to cry if stepped on in bare feet! So, it was back to the drawing board for me. I needed to find a system that was neat, easy to use and simple to store anywhere. A storage system that any child of any age could easily handle. Okay friends, dig out those games and let’s get them into a system that will work for your family as well as it has worked for mine! Step #1 Pull everything out. The first thing you need to do is the boring stuff. 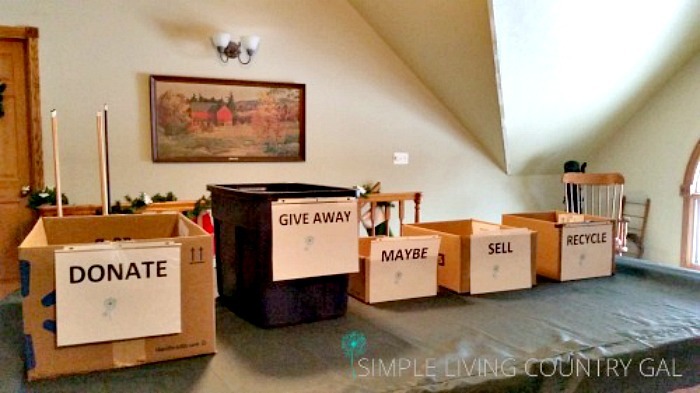 Yes, I know, this is different than what I usually suggest when decluttering. But we are organizing this time so the steps are a bit different. You need to see what you have, what needs to go, and what you intend to keep. Go through each and every game and puzzle. Ask yourself, has our family outgrown this game? There is no sense keeping Chutes and Ladders if you have a family of teenagers. 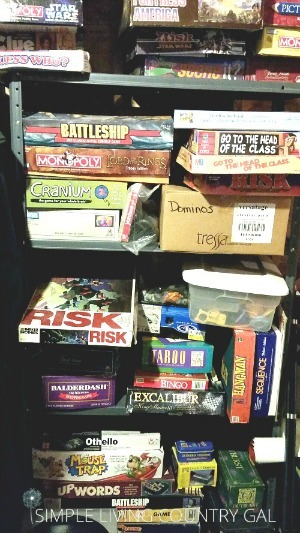 As you find games you want to remove place them in a box for donation or give away. If there is a new family with young children they may love to have that game of Chutes and Ladders. Step #2 Decide what to keep. Once you have it all out make a few piles. What you intend to keep, intend to donate, and finally what you intend to toss. Just because your family won’t play with it does not mean another family won’t. 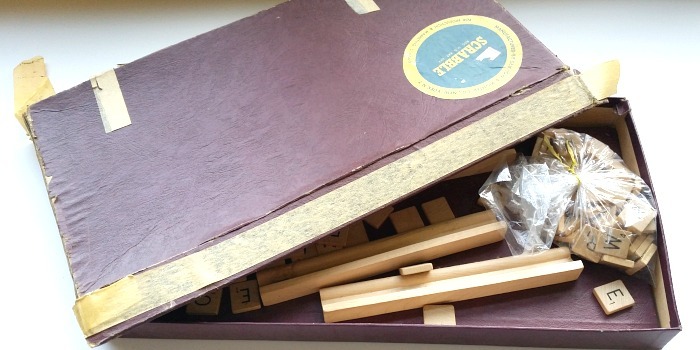 Now, if you do decide to donate a game or puzzle, please make sure all the pieces are included. There is nothing more frustrating than purchasing a used game only to find key pieces missing. If you find a few pieces are not in the box, simply attach a note explaining what is not included. You may be surprised at how many people will still purchase the game. Just be honest and upfront when selling or donating a used item. Step #3. Check the quality and the quantity. Another tedious step is to go through each game and make sure all the pieces are there. Just like you did above for your donated games and puzzles you need to do this for the items you are keeping as well. If you are missing easily replaceable items such as dice or a score pad, simply jot a note down with the item and the game you need it for. On your next errand day grab the missing items and get them taken care of. You can even purchase a bag of random replacement game pieces to keep on hand like this one here. 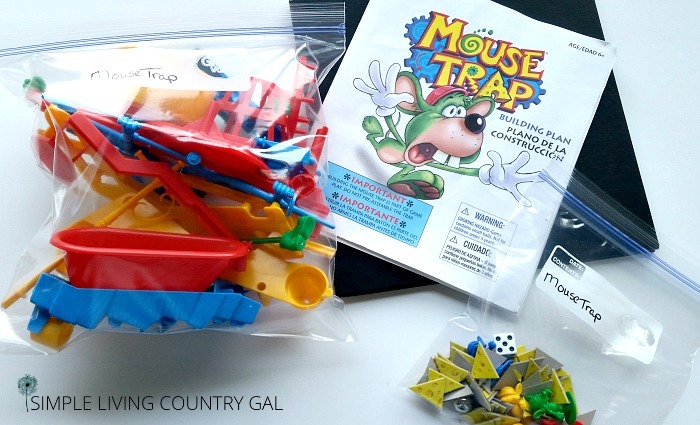 Next, get all the game pieces together and put into zip-lock baggies. This step just encourages everyone to use the system as intended. By keeping those small pieces contained in a sealed (and labeled) bag will keep things from getting lost or misplaced. For some freakish and unknown reason, once your games are in a pretty and easy to use system, your whole family will want to play those games. Having all the pieces will make sure this system is a success! Step #4 Repair and reinforce. The worst thing about games is the fact that the boxes are not meant to last. This is just so frustrating to me! I finally realized if you reinforce the boxes with clear packing tape, they will last much longer. You can either do just the lid or the whole box, it all depends on the condition and the age of your family. Take the time now to do this simple step to all of your games even the new ones. It takes just a few minutes and works surprisingly well. Durability is also key to this system working. Step #5 Find CLEAR totes of various sizes. I decided to splurge on this system. I don’t usually go for pretty, but this time I wanted to. I purchased several clear matching totes in different sizes. The cost was relatively cheap. I purchased all for less than $15. The trick is to get clear totes. This way you can see the games without having to get each one out. The next trick is to store your games sideways so that the pictures are facing up and out. If you do not have a game picture on the sides, simply make a copy of the directions and attach it to the box. The easier you make this for your family the more likely they are to put things back where they found them. Step #8 Keep totes close by. Again keep it simple so it works. If you go to all this trouble to set up a family game system, don’t store the totes in a back bedroom closet on a shelf. Games are meant to be played and enjoyed! Get them out where you can easily get to them. This is just another reason for pretty containers. 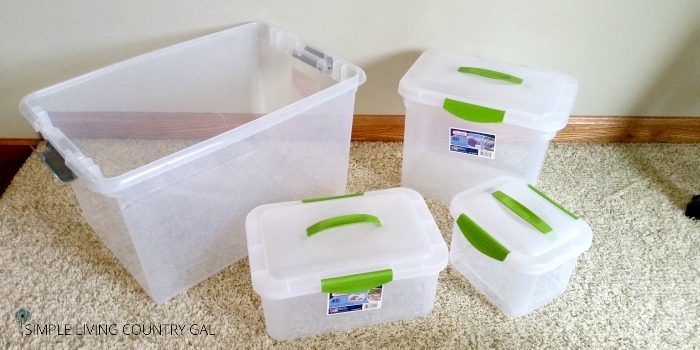 By choosing containers that are not only functional but pretty too you will be more likely to keep your totes out. Our family has a few favorites we like to play all the time and rather than 4 large totes in our family room we prefer to have 1 tote that holds our favs. Having those games close keeps us from zoning out in front of the TV night after night. If you are like me, as you are setting up your system to organize games and puzzles, you will be reminded of fun family game nights like I was. Get those games out and enjoy a Sunday afternoon of family fun. Shrek Life??? I am totally in!